Once a woman has a positive pregnancy test, any ache or pain felt is considered a potential threat to her baby. The first thing to remember is that most miscarriages are unavoidable. Pregnancy loss usually happens because the pregnancy did not get off to a good start and the baby is not developing properly. It does take a woman’s body some period of time to recognize that the pregnancy is no longer maturing so hormones may continue to be produced and uterine growth may continue after the baby has stopped developing. There is no harm in finding out that the baby has not been alive for a few weeks. The miscarriage needs to set itself into motion (contractions beginning, cervix opening) for the loss to progress as smoothly as possible. The follow-up a woman should expect if she experiences these signs of miscarriage range from watchful waiting to bloodwork to pelvic exam to ultrasound and should definitely include compassionate emotional support. What is done is based on how far pregnant the woman is, the amount of cramping and/or bleeding she has and whether the woman has any history of miscarriage or ectopic pregnancy. She can contact her provider at any point to check in but if symptoms are mild, they will likely recommend watching to see if things worsen. People often ask if “everything is alright”, and the reality is that there is no true way to know 100% that everything is perfect and will result in a healthy baby born at term. We do know that once the baby develops a beating heart, the odds are better that a woman has a healthy pregnancy. We can also be more confident that the pregnancy will continue once the woman moves into the 2nd trimester (starts at 14 weeks) with a baby that is developing as expected. 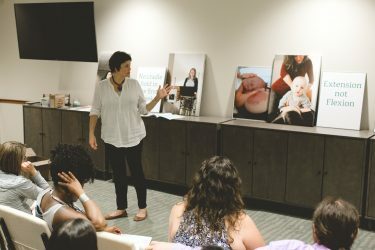 The Midwives of New Jersey recommend a couple prepare for pregnancy preconceptionally to improve the odds of a healthy pregnancy and to establish care with a supportive Midwifery practice. Register today for our How To Make A Baby program and start your pregnancy proactively.